Not only is Christmas time for giving but we also receive presents and I thought today’s post would all be about my wish list for Christmas and you may even find something to treat yourself with! This year I have been experimenting with colour and when I saw this Juvia’s Place palette, I knew I wanted to experiment with it. For under £20, this is a good bargain and the pan sizes are really big. I would love this in my collection. 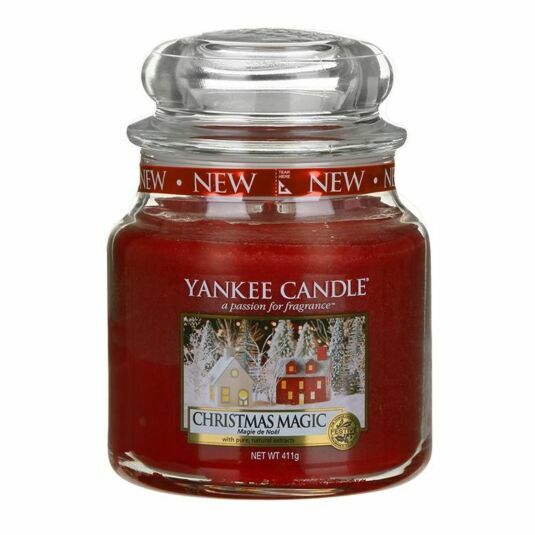 I love Christmas and I love candles and Yankee Candle has one called Christmas Magic and I love it. I love their candles and the scents they come out with. This one is currently on sale as well! I am looking or more candles this Christmas as well because I’ve run out! I have needed a jacket for a long time now and when I saw this denim one on ASOS, I knew I needed it. I love the colour and because it is getting colder, I know this will keep me warm this winter. I love Morphe and their palettes and when I saw this one, I was in love. There are so many colours in the palette for £23, it is such a good bargain. I already have a Morphe palette and know the pan sizes are big and there are 35 shades so you can create a huge range of different looks. I have been wanting a new ring for a while now but wasn’t sure which one I wanted but have been drawn to this one for a while so It’s on this list! This one from Pandora is only £35 and looks so pretty. I recommend this if you’re looking for something simple and cheap. So that is what is on my wishlist for Christmas! I’m excited to receive whatever I get as I know the thought counts! QOTD: What is on your wishlist this Christmas? That ASOS curve jacket is lovely. I might have to buy it for myself this year! I love a Christmas Wish List and getting to see what other people want for Christmas! The Yankee Candle Christmas Magic smells so good – I’ve been smelling all their festive candles and their Christmas Eve scent smells so good as well ❤ I really want the Mamma Mia Here We Go Again on DVD and some cosy pyjamas!